ACX5000 Universal Access Routers are ideal for metro Ethernet access and aggregation deployments in Carrier Ethernet networks. Their innovative design helps service providers build high-density, high-performance infrastructures where rack space and cooling are limited. Built to handle 1GbE/10GbE capacity and density, ACX5000 routers feature 40GbE interfaces for network-to-network (NNI) uplinks and full support of E-LINE, E-LAN, E-TREE, and E-ACCESS, as well as IP/IP VPN services. These routers support your business with high availability networking features such as unified in-service software upgrade (unified ISSU) and Junos operating system, which enable dependable and consistent delivery of mission-critical voice and video traffic. ACX5000 routers also offer service virtualization on a dedicated and customizable KVM-compliant virtual machine that can execute operational scripts and programs for network performance monitoring and analysis. The ACX5000 satisfies the growing demand for access network capacity that springs from a new generation of xDSL/GPON and 4G/5G base stations for 10GbE interfaces, as well as residential and enterprise customers who need 10GbE UNI services. The 40 Gbps NNI ports provide ample capacity for aggregation uplinks which, in combination with software capabilities designed for Carrier Ethernet, makes the ACX5000 an optimal solution for metro Ethernet access and aggregation. Using Junos OS and Junos SDK, the ACX5000 is fully customizable to meet your specific needs, while its scalability and reliability improve your customers’ experience and lower your costs for maintaining and updating your network infrastructure. High Port Density and Performance. 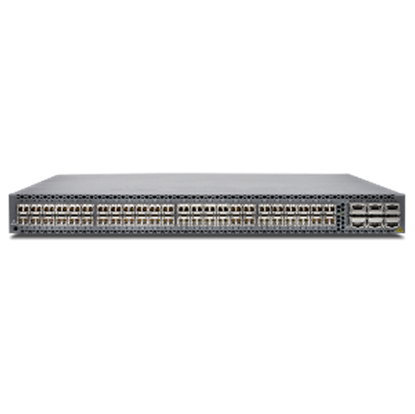 ACX5000 offers a 1 U platform with 48 x 10GbE ports and 6 x 40GbE ports; a 2 U platform with 96 x 10GbE ports and 8 x 40GbE ports; and up to 2.5 Tbps throughput. Flexible Architecture. Flexible architecture supports Carrier Ethernet, Layer 2 services such as multitenant residential and commercial metro Ethernet, and Layer 3 services (based on IP/MPLS). High Availability. High availability features such as ISSU and Junos OS enable dependable and consistent delivery of mission-critical voice and video traffic. Transparent Clocking. Transparent clocking gives you innovative options for deploying and provisioning timing technology while meeting the stringent clocking requirements of mobile backhaul deployments and new services. Service Virtualization. Service virtualization on a KVM-compliant virtual machine can execute operational scripts and programs that monitor and analyze the network. MEF CE 2.0-Certified. Platform has MEF CE 2.0 Certification for E-LINE, E-LAN, E-Tree, and E-Access services. Zero Touch Provisioning. 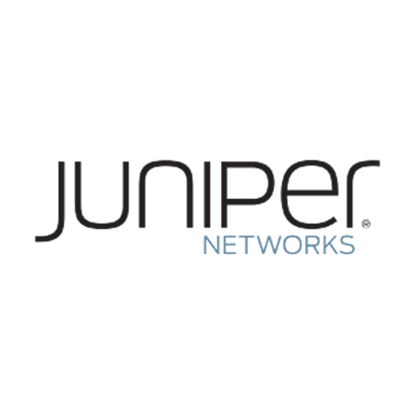 Enabled by the Junos Space platform, fast remote provisioning reduces operational costs and the demand on your resources while helping you speed delivery of new services. Junos SDK. Junos SDK lets you customize provisioning and integration with third-party applications and tools.